For registered users – Free economy delivery with Speedy within Bulgaria for online orders over 100BGN VAT Incl. 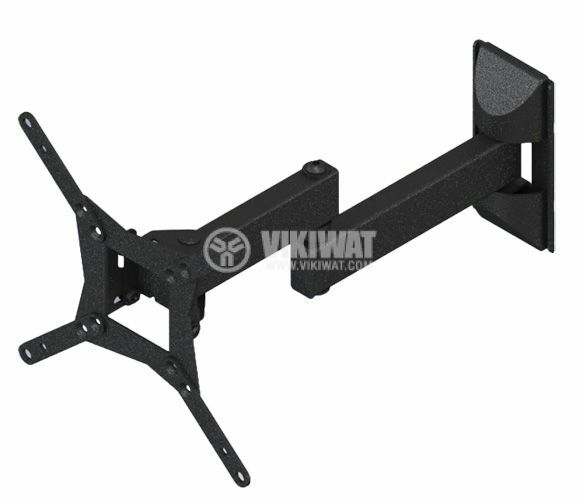 TV Wall Mount Stand for LCD/LED/Plasma model 154E up to 32" (81 cm), 15° tilt, left and right swivel, pivot and fold. 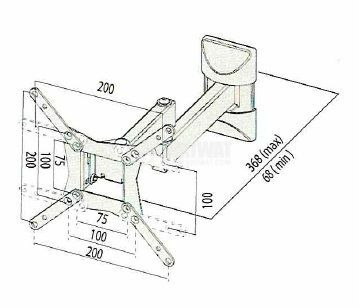 distance to the wall - 36.8 mm. fast assembly and safe installation. Dear customers, please note that all images on our site are illustrative. They can differ from the actual product without altering its specifications in any way.